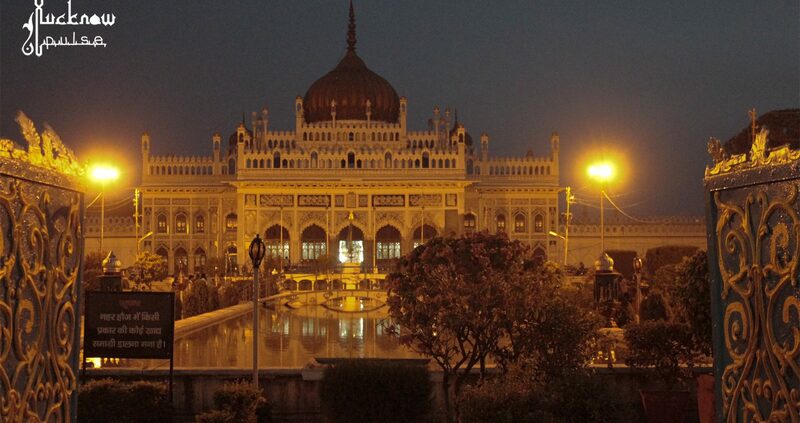 Lucknow, the second largest city in Uttar Pradesh has been a favourite among tourists from all across the globe. Food enthusiasts and history lovers in particular find it hard to resist the charm of this beautiful city. The city offers a rare experience to travelers and explorers. On one hand, it is the political hub of the state and on the other, some of the finest monuments in the country adorn its skyline. Literature, music, poetry and dance, though not as prominent as in the Nawabi era, are significant aspects of city’s culture. Those who have never been here, are often left wondering – Lucknow is so Famous, but why? Whether you are one of them or not, read on to know the reasons. Right from jewellery, electronics, home décor, spices, to souvenirs and small knick-knacks, you can find everything in these places. The city also has its fair share of malls and showrooms but shopping in the old markets is one of the best ways to experience the cultural vibe of Lucknow. There are many popular eateries in the city, some of which are more than 20 and 50 years old. Countless places serve mouth-watering chaat and even if you are looking for a fine-dining experience, you won’t be disappointed. There are numerous hotels and cafes in the city that serve lip-smacking food. The holy month of Ramzan is one of the best times to visit the city, especially if you want to enjoy the food. Another great option would be the culinary walks that are regularly organised for tourists. Lucknow is the architectural hub of Northern India. Heavily inspired by the Mughal, Persian and Turkish style of architecture, it has been bestowed with titles such as Constantinople of the East, Shiraz-i-Hind and the Golden City of India. These monuments spell royalty in every sense of the word and are proof of the city’s rich heritage that continues to leave people from all across the world completely awestruck. What is even more fascinating is the history behind every monument. You can easily book guided tours and heritage walks to go an excursion that will take your breath away. These make for some really great gifts, so make sure you get your hands on them on your next visit. This is just a small glimpse of why Lucknow is so famous among people. In reality there are so many experiences that can be witnessed here that capturing its essence in one trip or one article is hardly possible. It is something that is felt and will leave a long lasting impression that will stay with you forever.